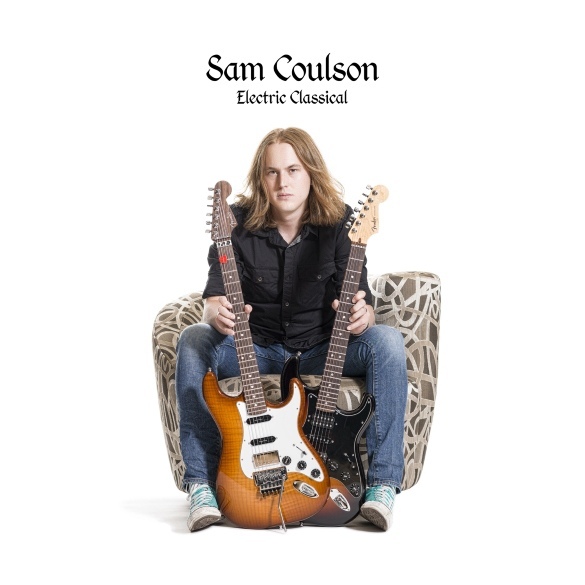 The YouTube guitar star who was drafted to replace Steve Howe in Asia has his own album, totally solo, electric guitars only (mostly Stratocasters, with some multi-tracking, of course) covering a selection of his favorite classical pieces. Unlike what other rock guitarists have done over the years covering classical pieces (I’m thinking of folks like Dave Edmunds shredding “Sabre Dance” and Bizet’s “Farandole,” Mastermind tearing up “William Tell Overture,” or Big Brother & The Holding Company’s version of “Hall of the Mountain King”) Coulson’s electric guitar interpretations are respectful of the original pieces, void of flash and shred, with only minimal use of effects — one might even say tame, not unlike what many other artists have done on acoustic or classical guitar. The surprises within this ten-song set are in the selections themselves. There are a few one might expect, like Beethoven’s “Moonlight Sonata” and a few vaguely familiar Bach pieces, “Ave Maria” of course, but he’s included several pieces by Fernando Sor, one by Francisco Tárrega (“Recuerdos de la Alhambra”) and "Vals Venuzolano #2" by Antonio Lauro, overall showing his preference for Spanish guitar compsers of that period. Several of these I had never heard before in any version, so reviewing Coulson’s CD introduced me to some great pieces that I hadn’t heard before. All taken, these are respectful interpretations well within the parameters of what the composers would have liked to hear had electric guitars been available back in the romantic period. Nicely done.